Sloths are perfectly adapted for life high up in the canopy of ‘primary’ rainforests. Primary rainforests are defined as those forests that are in pristine condition, having never been disturbed by humans. They typically have very tall trees (that can reach over 250 feet in height) forming an upper canopy, followed by several layers of understory canopy. In this environment, the trees all connect and so the sloths can travel easily throughout their home-range without having to come down to the ground very often. Sloths have thrived in this continuous and undisturbed habitat for over 64 million years, and they are continuing to thrive in regions where this ecosystem remains. Costa Rica does not have enough healthy forest left – particularly primary rainforest – for the sloths to inhabit. In fact, as of 2005, only 3.5% of the country was covered by primary rainforest (compared to an average of 40-50% for other South and Central American countries). In the 1990’s Costa Rica had one of the worst deforestation rates in the entire world, with only 26% of the country having any sort of tree cover left. Realising the detrimental effect that this was having on ecosystems and wildlife, the Costa Rican government implemented some impressively rigorous conservation strategies to protect the remaining forests. As a result of these efforts, Costa Rica is now the only tropical country in the world that has managed to actually stop and reverse deforestation – the amount of forested land is increasing year by year, albeit very slowly. While this is certainly beneficial, the loss of the ancient primary forests can never be reversed, and it is the true primary forest that the sloths need in order to thrive. 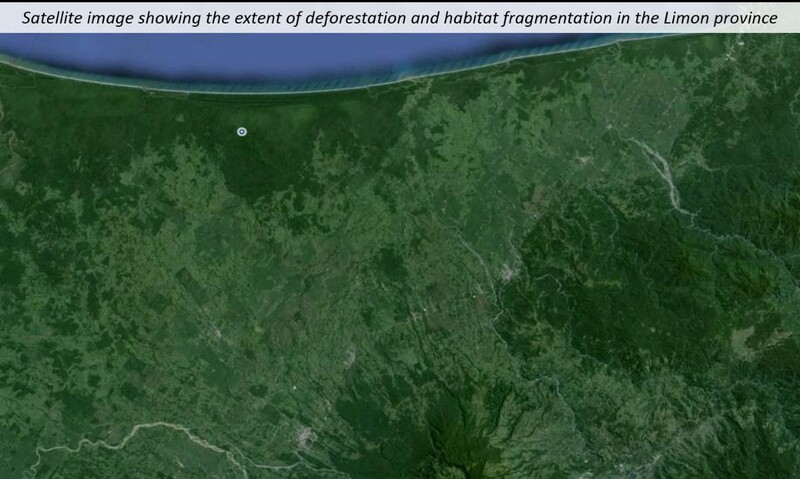 While Costa Rica may appear to be a green and eco-friendly country on the whole, the secondary growth forest that covers much of the land is sparse and fragmented in comparison to the dense vegetation found in the primary rainforests. If you look closely at the tree cover in many regions, you will notice that the trees rarely connect or overlap at the top. This is manageable for species such as monkeys that can traverse gaps by jumping, but it is detrimental to sloths which are forced to descend to the floor and crawl across the ground where they are extremely vulnerable. Sadly, there is no way to replace the lost primary rainforest, and the knock-on consequences for wildlife are going to be seen for the foreseeable future. The negative impacts on the sloth populations in Costa Rica are already evident, with an abnormally high number of baby sloths being born with genetic deformities in the Limon province. From our latest genetic research, we have been able to identify that these defects are primarily due to inbreeding from habitat fragmentation. We are currently working with local businesses and property owners to encourage an increase in canopy connectivity and reforestation. 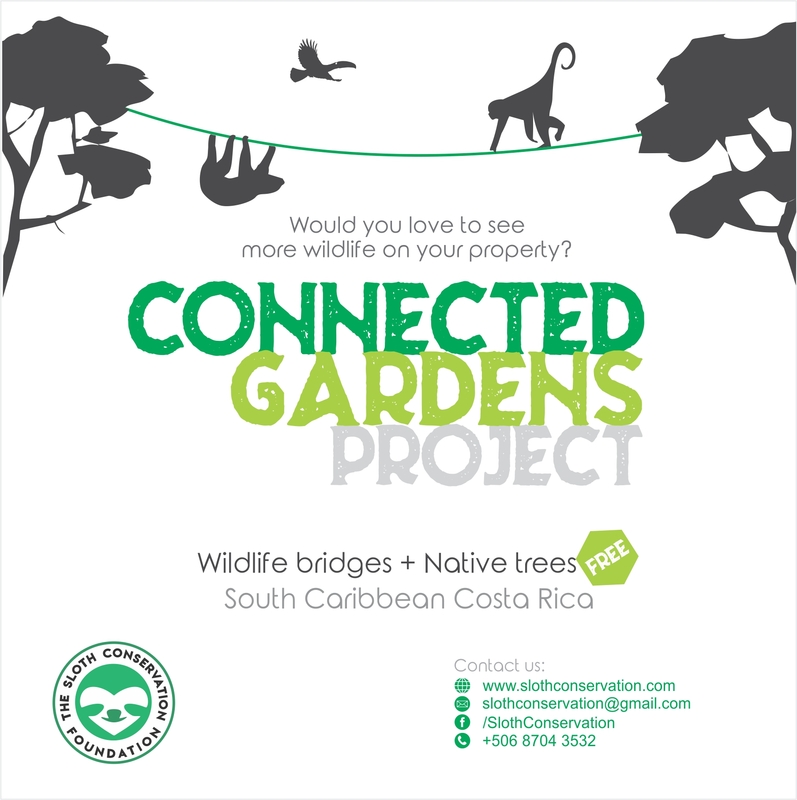 This includes the provision of saplings to be planted in key areas and constructing canopy bridges to artificially link habitat fragments together. On a larger and more long-term scale, we aim to increase the genetic diversity in isolated populations through the plantation of forest corridors and the translocation of individuals from vulnerable areas.